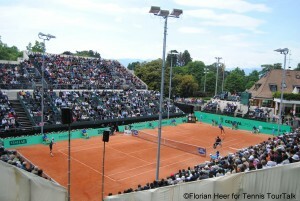 Geneva is situated in the southwest of the French-speaking part of Switzerland – the “Romandie” – on the outflow of the Rhone from Lake Geneva. 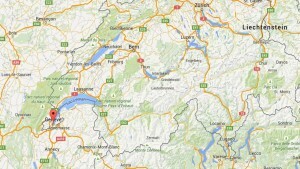 It is the second populous city in Switzerland and the capital of the canton Geneva. In the fifth and ninth century Geneva was the residence of the Kings of Burgundy.1526 Geneva joined an association of towns together with Bâle and Fribourg, then came the Reformation and the proclamation of the Free Republic of Geneva (1536). 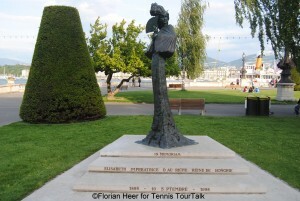 The city sympathized with the Swiss Confederation. It followed a period, in which Geneva was part of the First French Republic (1799-1804) and till 1813 part of the First French Empery, which was ended by the wars against Napoleon. 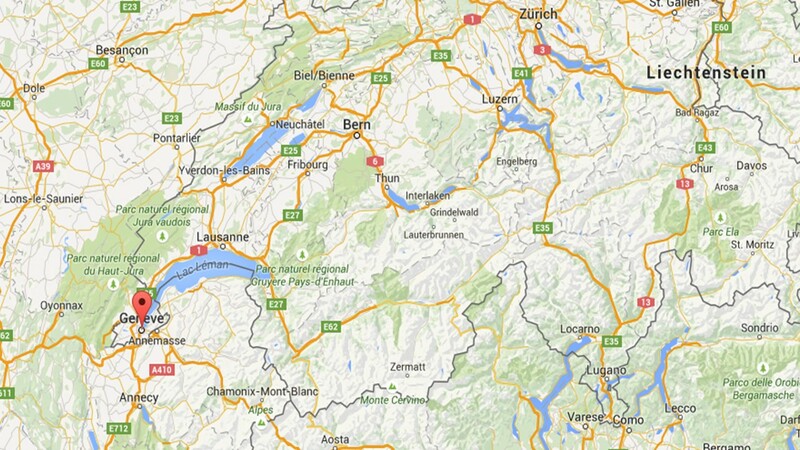 In the year 1815 Geneva joined Swiss Confederation and was made capital of the canton Geneva. From 1920 to 1946 Geneva was the seat of the League of Nations. 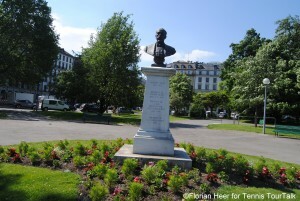 Geneva is called the city of peace because of the numerous international organizations having their headquarters here. Best known examples are surely the UNO and the International Red Cross, which are based in the city. The Red Cross came into being at the initiative of a Geneva citizen named Henry Dunant in 1863 with three other citizens, he formed the ICRC, which is at the origin of the International Red Cross and Red Crescent movement – today grouping the ICRC, the National societies and their International Federation. On the whole Geneva accommodates 20 international organizations and standing comities from over 160 countries representing their governments. For this reason the city is a platform for dialogues between these organizations, NGOs and the civil society on themes like human rights, intellectual property or environmental issues. 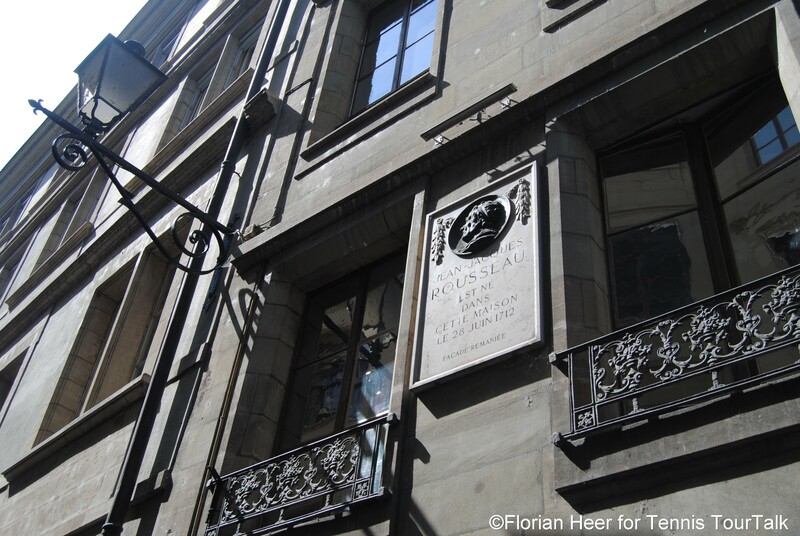 In this light it is not surprising that Jean-Jacques Rousseau, famous philosopher of the Aufklärung and precursor of the French Revolution, was born in Geneva in 1712. 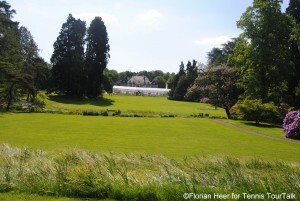 20% of the space in the city are parks and lawns. This not only contributes a lot to the wellbeing of the inhabitants but also makes Geneva one of the greenest cities in Europe. One of them is the Parc des Bastions, where you can see Reformation Wall. Giant statues and bas-reliefs portray the mayor reformers. In the middle stand Jean Calvin, Guillaume Farel, Théodore de Bèze and John Knox. 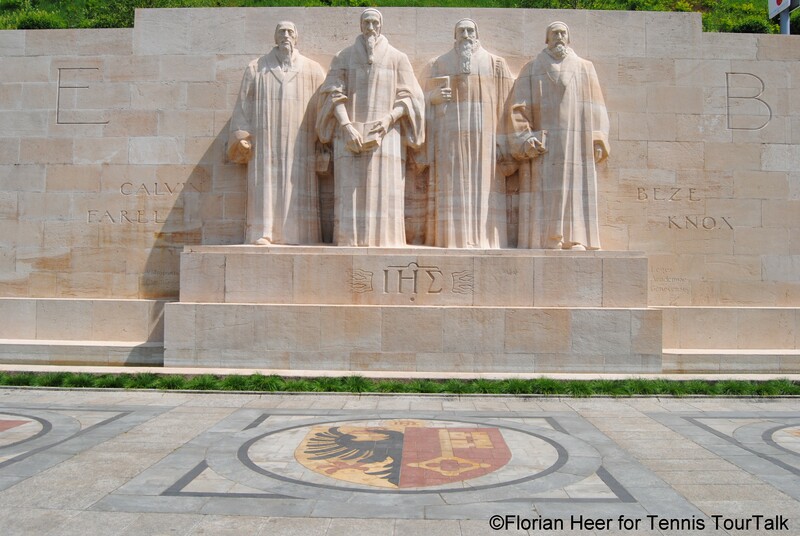 On the two sides we find the reformers who carried the movement across Europe. 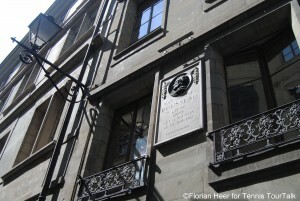 Geneva’s maxim “Post Tenebras Lux” – light after darkness, is engraved in the wall, for it has been adopted by the Reformation movement. 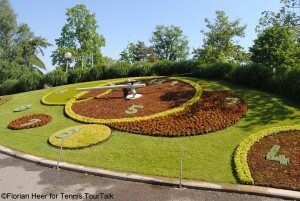 The Flower Clock is located in the Jardin d’anglais situated on the left bank of the lake. The clock was created for the first time in 1955. It contains about 6,500 flowers and plants. The floral arrangements, one of Switzerland’s most photographed sites, lie a few steps away from the lake and change according to the season. 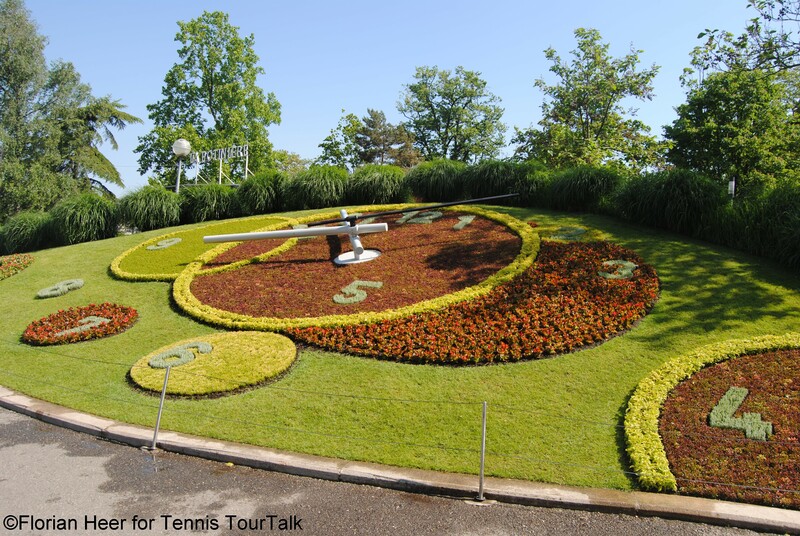 The flower clock is not only pretty, it also tells the time with Swiss precision – transmitted by satellite. Another important detail: the seconds-hand is 2.5 metres long, the world’s longest! Only a few metres away, you can found the famous water fountain. The Jet d’Eau came into being by chance. In 1886, a hydraulic power station was built to deliver water under pressure from the Rhone to the city’s fountains, households and factories. One evening, pressure build-ups forced the engineers to install a special pressure relief valve. 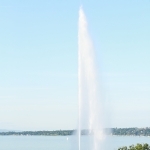 This marked the birth of Jet d’Eau. The ephemeral work of art born out of necessity soon became an attraction and was moved closer to the lakeside. With time, the water column grew taller. Since 1951, an autonomous pumping station has propelled 500 litres of water per second to a height of 140 metres at a speed of 200 km/h (124 mph). On the right bank of the lake, five-star luxury hotel Beau-Rivage is located. 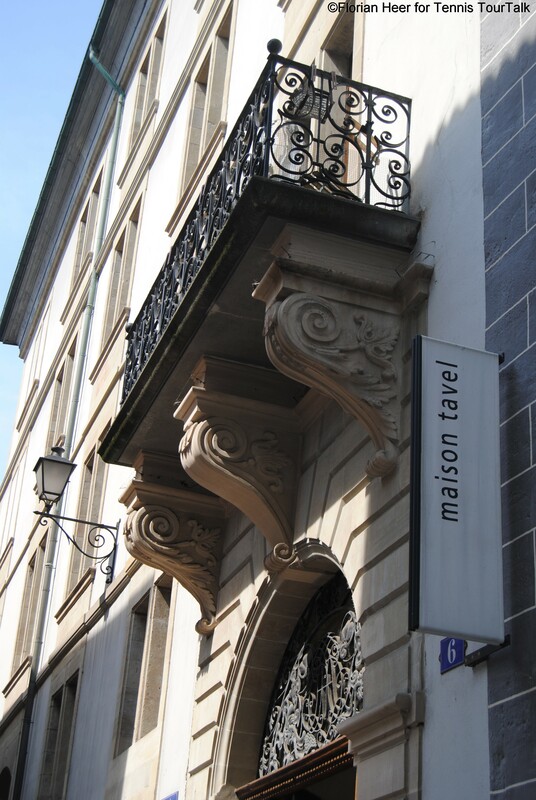 The hotel was founded in 1865 by the Mayer family and is nowadays a member of the Leading Hotels of the World. In 1873, Charles II, Duke of Brunswick dies at the hotel. In 1898, the Austrian Empress Elisabeth of Wittelsbach (Sissi), was stabbed to death by an anarchist soon after she left the Beau-Rivage. In the old town you can find a couple of medieval buildings and squares. 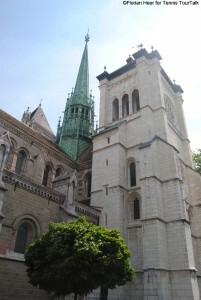 Built between approximately 1150 and 1230, Saint Peter’s Cathedral has Romanesque and Gothic features as well as a neoclassical monumental porch. The Chapel of the Maccabees, the first example of flamboyant Gothicism in Geneva, adjoins it. In addition to its historical interest, the Cathedral has had a particular spiritual significance since 1536, when it became a major centre of the Reformation under John Calvin. 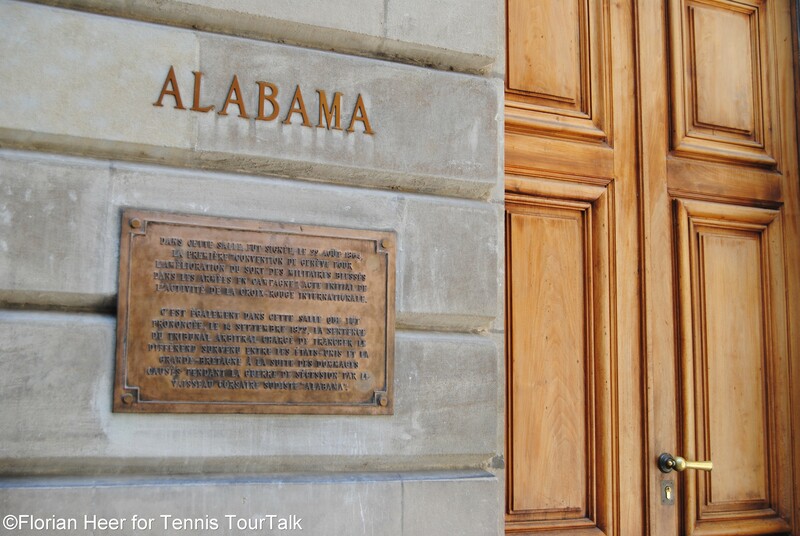 It is now the most frequently visited building in Geneva. 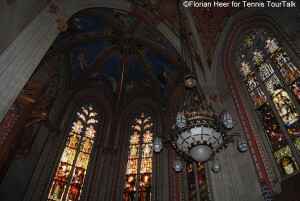 It is particularly interesting to climb the North and South towers, enjoying a perfect view over the city. 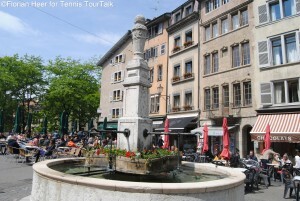 A few steps from St Peter’s Cathedral, the Bourg-de-Four is at the very heart of Geneva’s Old Town. 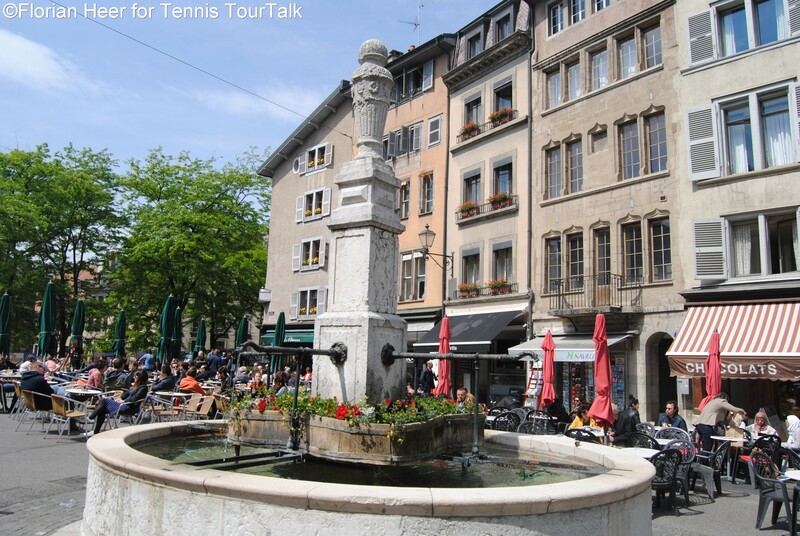 Even in the past, roads leading to Geneva led inevitably to the Bourg-de-Four whose market has been of major importance since the 9th century. Over time, house heights were raised to accommodate Protestant refugees from all over Europe. Don’t miss out on a visit to this delightful square. Stop for a coffee or a drink and experience the ambience that is so greatly appreciated by the people of Geneva. Geneva’s Town Hall hosts a historic room. 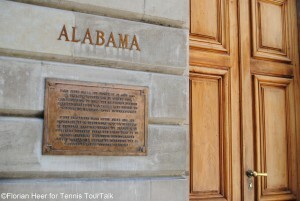 It is named “Alabama” that the international vocation of Geneva came to fore in the 19th century. An arbitration tribunal hosted there, ended the conflict between the United States of America and Great Britain following the American Civil War and closed with an agreement signed on 14 September 1872. A few years earlier, on 22 August 1864, the first Geneva Convention – the founding act of the International Committee of the Red Cross – was signed in the very same room. Culture and Art are also very important factors in Geneva. The city itself holds the financial responsibility for about 30 venues, 11 museums and the Library of Geneva – one of the oldest libraries in Switzerland. The Maison Tavel is a unique testimony to medieval civil architecture in Switzerland. Destroyed by fire in 1334, it was rebuilt by the Tavels, a noble Genevan family who gave the house its character of a fortified mansion and urban palace. After passing through the hands of various influential families over the centuries, the house was acquired in 1963 by the City of Geneva, which carried out an exemplary restoration. Converted into a museum in 1986, its six levels illustrate the city’s urban development and various aspects of the daily life of Geneva’s former inhabitants. 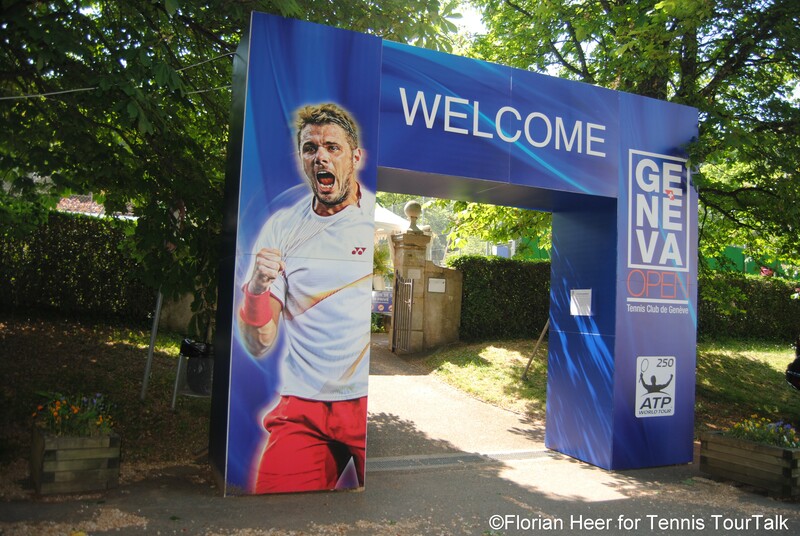 The tennis tournament – the Geneva Open – is held at the famous TC Genève, a pretty glamorous venue situated in the Parc des Eaux-Vives featuring a luxury hotel and restaurant, housed in a 18th century building. 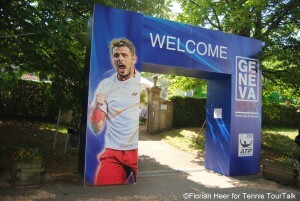 During the week of the tournament, it serves as VIP area. 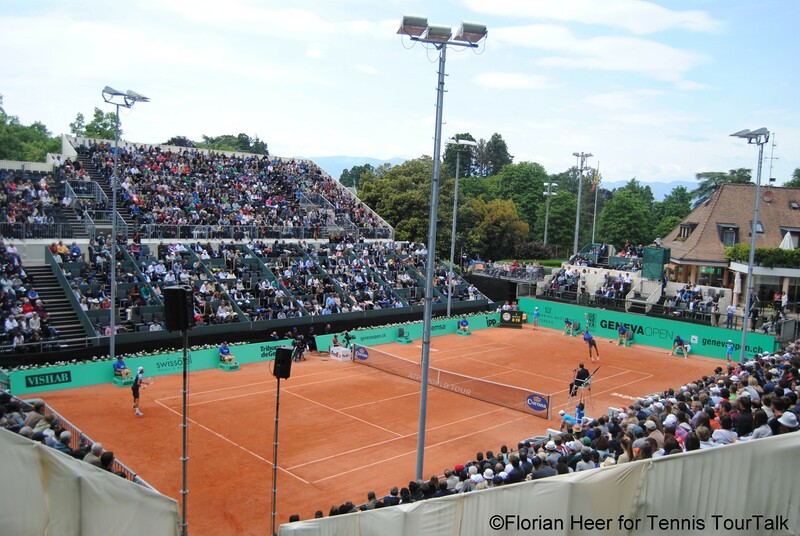 Centre court has a seating capacity of 3,700 places. The inaugural event took place in 2015.